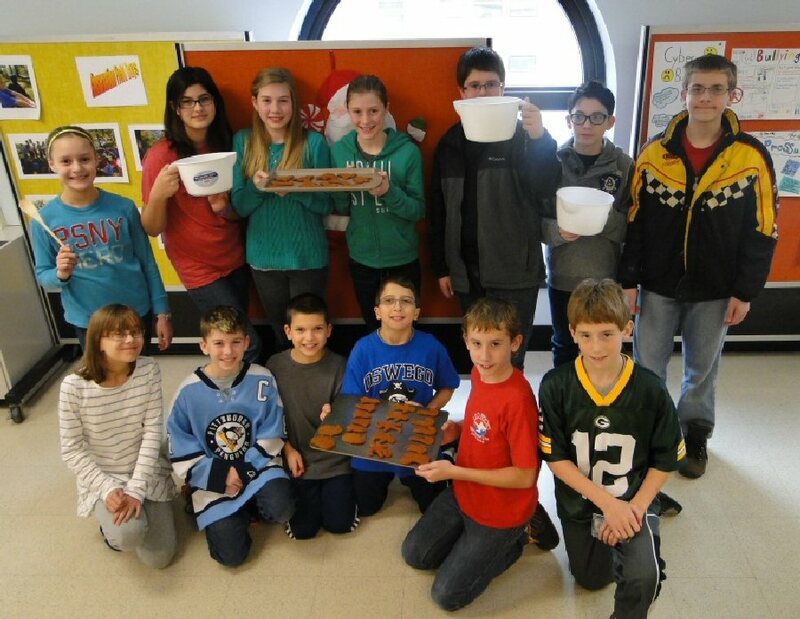 OSWEGO, NY – The sixth grade team at the Kingsford Park Elementary School decided to “sweeten up” the New York State Modules by implementing the lesson on the “Division of Fractions” to making gingerbread ornaments. Students enjoyed the undertaking and gathered with some of the products they used or produced. In front are Kirsten Bell, Ike Calverase, Marc Farella, Alex Vescio, Harley Brinkman and Tyler O’Grady. In back are Julia Roman, Abby Faul, Ashley Patterson, Nicole Pappa, Teddy Easter, Spenser Lee and James Abbott.